PURE SOUND technology guarantees pure and crystal-clear sound. 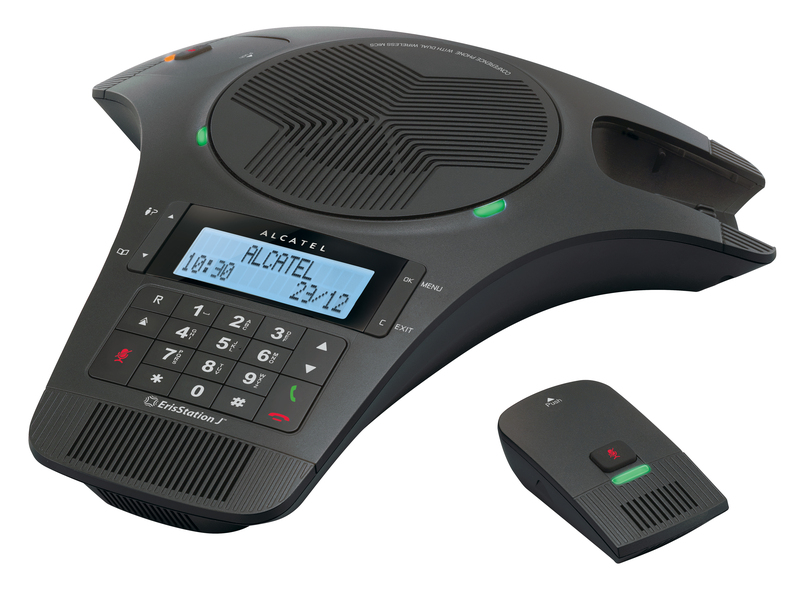 easily set up and moved, makes it the perfect conference phone for small meeting rooms. 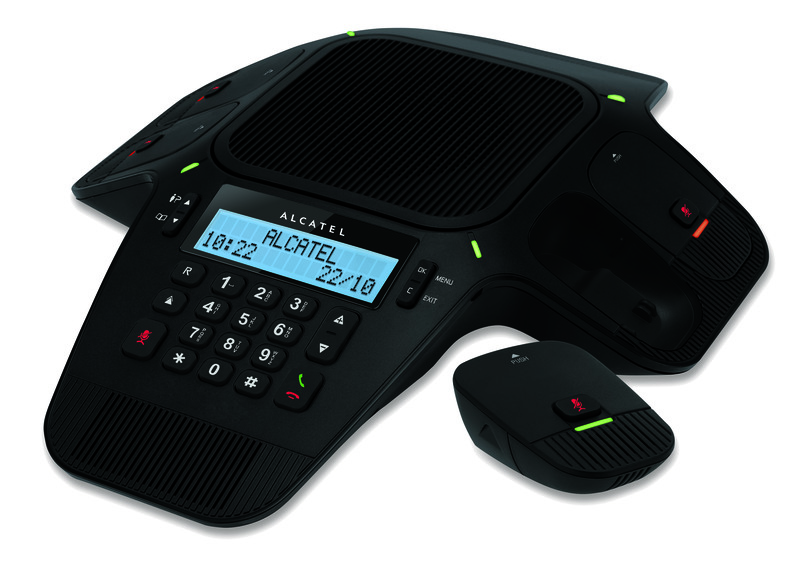 Alcatel Conference 1500, the junior version of Alcatel Conference 1800, is equipped with two detachable DECT microphones in addition to the unit's central microphone. The wireless microphone's long battery life allows you to stay focused on your work without having to keep track of time. for medium-sized meeting rooms to benefit from high quality sound and carry out natural, fluid conversations thanks to full duplex technology. 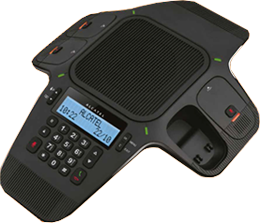 Increase and optimize your conference telephone's range with the 4 detachable DECT microphones that can be placed anywhere to suit the attendants allowing them to be perfectly heard and understood. 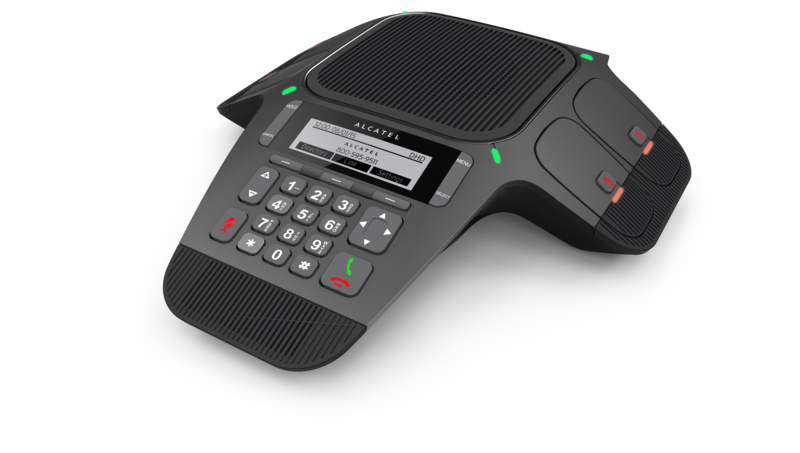 Alcatel Conference IP1850 is the SIP version of Alcatel Conference 1800 and can be seamlessly integrated with most IP PBX and VoIP providers.